The meditation session will be guided by Margit van Tuijl, a life coach in TINT, to inspire you for productive study time. Date: 10th of April, 12:30 till 13:30. At the end of March, TINT will be joining the Connect with my Culture event, hosted by the TU/e. So grab your colleagues and classmates after work or class and come to the Atlas building. Fill your "passports" by visiting the country market stands, competing in the cultural arena, participating in activities and watching live performances at the Atlas building from 16:00 until 20:00h. Join TINT to learn about (and taste!) different kinds of food from all over the world and to discuss funny and shocking revelations about cultural and culinary stereotypes you might not know about. Feel free to join in and learn on March 27th at TU/e campus, we hope to see you there! Date: 27th of March, 16:00 till 20:00. On February 27th, UNICEF Student Team Eindhoven and TINT are organizing a potluck at De Huiskamer. At a potluck, everyone brings a homemade dish, which is shared and eaten together. This evening, a UNICEF volunteer will share a presentation about the "Back to School" project in Syria and Tint will encourage the discussion! For food allergies and ingredients, we would like to ask you to fill in the form https://goo.gl/forms/jn3QhEngcbNXw2Lf2 . Also, while registering for the event we kindly ask for entrance fee of €2,50 which will be donated to the “Back to School” project. It aims at uplifting the educational infrastructure in the war-affected regions of Syria. All the money from this event goes to this fundraising activity. We are looking forward to seeing you all at the potluck, as we share all the wonderful food and even better memories together! Location: De Huiskamer, Lichtstraat 376, Eindhoven. Join us for this workshop and bring a magazine that reflects your interests. One that you would be willing to cut up for the vision board you will make. 21:15 Let's have a drink and talk about your stories and insights! TINT, Technology for Global Development and ONE WORLDcitizens invite you to celebrate the end of the year with us and make a powerful start of 2019! The End of the Year Celebration is a time to reflect upon and celebrate the greatest moments and achievements of 2018 with everyone that works together locally and internationally on projects and start-ups to achieve the 17 Global Goals for Sustainable Development. Also, this is the perfect time to start dreaming about new projects, adventures and goals to achieve in 2019. For that purpose, the three organisations join forces to give you an evening that will help make your goals come true. Tint will help you to find and listen to your inner voice, OWC will bring an amazing speaker to motivate you to follow that voice and, in the end, the three organisations will show you how to transform words in action together. Meet new people, gain new insights and participate in a dialogue at TU/e. This year’s theme: Facing your Future. We often catch up with friends while having a coffee or beer, during dinner, over the phone or online. We debate the news and current affairs with friends, colleagues and family. However, we barely take the time for a balanced, in-depth conversation. So, take on the challenge: join the dialogue session at the TU/e Luna Building - Corona Hall. Everyone is welcome! What are your expectations for your future? Do you have it all mapped out or do you prefer to live by the day? Perhaps you are worried about what the future might bring, or look forward to the time that lies ahead. Whatever your experiences, this is your chance to share your views about the future with others. This event is a joint initiative of TINT [http://tint-eindhoven.nl/], Eindhoven in Dialoog [www.eindhovenindialoog.nl] and Studium Generale. During the week of the International Student (12/11-18/11), TINT is organising an event focused on getting out of your comfort zone and follow your dreams! Amazing speakers will share their personal stories to inspire us all to push ourselves into the adventure of life. Also, a great workshop will make us exercise our imagination in a more practical set-up. Since food is always a great companion for good conversations, TINT invites everyone to participate in this potluck! A potluck is a joint meal where everyone brings their own food, either a started or a main dish, and share it with others. For this Potluck, TINT would like to ask you to bring food from your home country so everyone's taste buds can get out of their comfort zone as well! TINT will provide plates and cutlery. However, you cannot cook at the Huiskamer. So please, com prepared and cook at home! Save the date! More information will come soon! Hope to see you all there and don't forget to register! On the evening of 17th of October, we will be hosting a dinner in collaboration with TU/e student, Limi Kalapurackal. The goal of this dinner is to raise money for a girls orphanage in India and to help them get an education. Limi will tell you all about it while our secret guest will present a topic of education from another point of view. Inspiring presentation and a nice meal will be a great start for discussions and exchange of experiences. We hope to see you there and don't forget to register! Start your day afresh with a healthy breakfast to nourish your body and mind! What do you get up for in the morning? Start your day afresh with a healthy breakfast to nourish your body and mind! Cosmos, Tint and SG are offering you a fun and healthy opportunity to kick off the day in style with some food for the body and a bit of food for thought. Find out who is also a morning person (or simply doesn’t need sleep) and get to know your fellow students a little better in a fun and interactive way! You can first attend a stimulating Tai Chi session (starting 07.30) to get all prepped for the brand new day. Breakfast is free, but please sign up in advance. Time: 19:00 but you are welcome to come earlier and have dinner at the Hubble! Location: Hubble Community Cafe (TUe campus). Costs: € 1.50 for the snacks (drinks are not included but can be bought at the bar). TINT & Cosmos will hosts the first dinner of the new study year together. Starting a new study means a lot of first impressions! A new place, new people and for international students a new country and culture! During a fun and informal dinner we will talk about all these new impressions. Come celebrate the Ladies Night! As a technical city, Eindhoven still has a majority of male students. Luckily, this is changing fast and us girls are finding and claiming our place at the educational institutions. To celebrate this development and have a fun evening with only girls, TINT together with Proxy is hosting a Ladies Night. The evening will be filled with a fun but also powerful program. There will be an opportunity to enjoy a welcome cocktail and also, to connect with others, discuss experiences you might have had as a woman studying in Eindhoven. When: 1st of June (Friday), doors open at 19:00. Where: Student Hotel, 2nd floor (right above the bar). Costs are €5 for a welcome cocktail and snacks. Discover the power of breath and mind. In this workshop, you will learn simple yet powerful Breathing techniques and Guided Meditation. Sessions are done weekly. This week it is on Wednesdays from 18:00 - 19:00. For upcoming weeks schedule will be posted later on. Location: check the Facebook group. ATMOS, TINT and COSMOS invite you to come Dine with Strangers. During a dinner buffet we will embrace our multicultural backgrounds and get to know each other with some fun questions. After the dinner we will spice up the evening some more with a pop quiz and end the evening with music. Places are limited, so make sure to get your tickets as soon as possible. ATMOS and COSMOS are multicultural associations at the TU/e. ATMOS is for PDEng's and COSMOS for bachelor and master students. 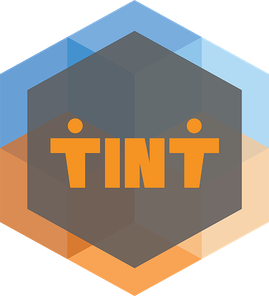 TINT is an organisation that hosts events for personal development and life questions. We are hosting our annual International Dinner on Wednesday, the 25th of April. The theme this year is 'Inspiring Multicultural Teamwork'. It will once again be an evening filled with delicious food, inspiring talks, wonderful music and good company. A great opportunity for students, employees of TU/e, Fontys and companies in Eindhoven and surroundings to meet and share experiences. Jef van den Hout (founder of Flow Concepts) will give a presentation on how to create the experience of flow within teams and Kavitha Varathan (CEO at Expat Spouses Initiative) will share her experiences with multicultural teamwork. Also, there will be sparkling live jazz music by The Handsome Four! After the two successful 'Get Together: Students and Refugees' events, it's time for a follow-up (open for everyone)! Students, young professionals and young refugees will meet up and share the food of each other's culture together. On the evening of 7th of March, we will be hosting a Potluck in the center of Eindhoven city. A potluck is bringing your own food and sharing it with others, either a starter or main dish. We will provide you with plates and cutlery. You cannot cook at the Jongerenhuis. Please, come prepared and cook at home! For this event, we are collaborating with Cosmos - the international student association of TU Eindhoven. With their help, a special guest from Syria, that is now a student at TUe, will be introduced and he will share his life experiences before the dinner. Do not miss a chance to exchange ideas and to learn from each other. See you on the 7th of March!